Climate change, as we all know is a burning issue of present time .Recently in month of March 2017 there was a winter season like weather in western part of India with unexpected rains .The farmers had to face crop failure especially in wheat crop. 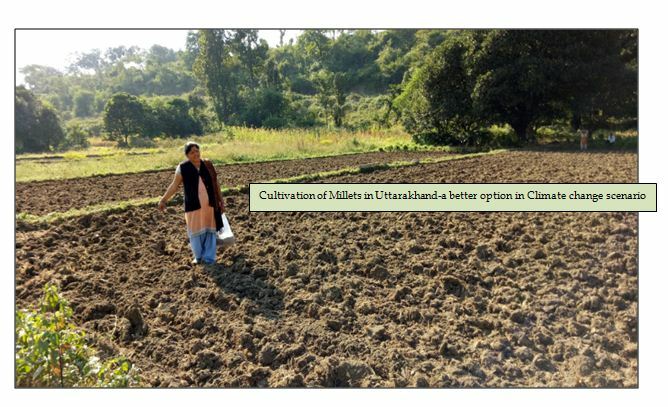 With climate change , the farmers should also focus on Rainfed crops like Oilseeds, Pulses ,Millets and other grains .The rainfed crops are more adaptable to adverse climatic conditions .The rainfed crops are also profitable . It is important to exploit the Opportunities of Agribusiness in Rainfed crops. For ex-in Pulses, India is still dependent on import of Pulses to fulfill the needs of people. The cultivation of pulses can be advantageous to the farmer. With climate change becoming an important factor, the farmers have to realize that the sustainability in agriculture can better be achieved through selection of climate resilient crop. Rather the farmers should make a balance between cultivation of high value vegetable crops and Rainfed crops. Time has approached where profitability in agriculture has to be seen linking with its sustainability .It’s the need of the hour.